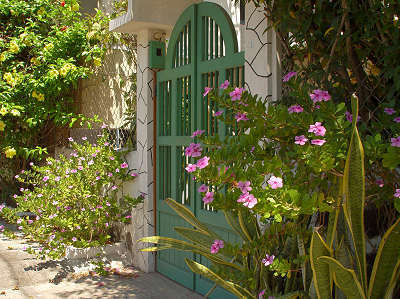 I have three pages of Puerto Ayora pictures, after which the story continues. I found this lovely scene while wandering around town. It's the gate to a private residence. A palm tree a couple of streets back from the waterfront. 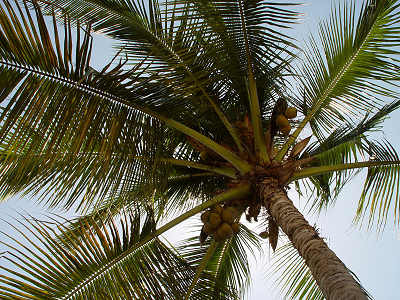 You'd probably get knocked unconcious if one of the coconuts dropped on your head as you were walking by. These gorgeous blossoms were hanging from a tree in somebody's yard. 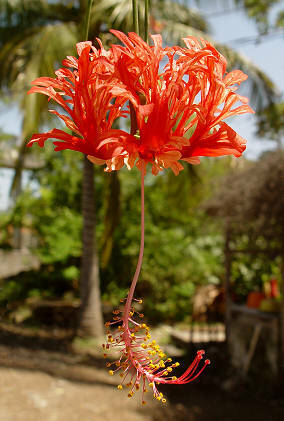 I believe it is a Hibiscus schizopetalus. A streetcorner scene a few streets back from the waterfront. 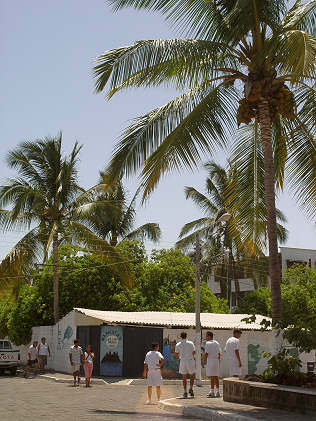 The people dressed in white are students wearing their simple uniforms. In the background you can see a rather seedy-looking bar named "Manhatan" that has a small mural of a city skyline. This is near where I took the previous palm tree picture. 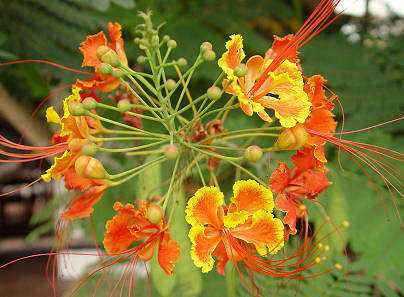 Another tree that had numerous beautiful blossoms. 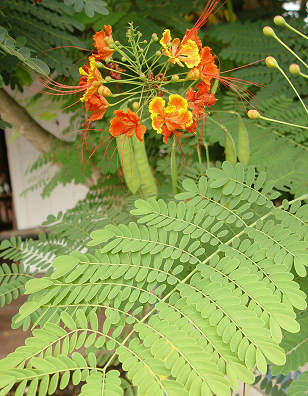 This might be Caesalpinia pulcherrima.